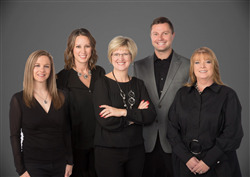 The Jane Hay Sales & Staging Team combines the art of staging with the business of marketing and top notch customer service. This business model is the key to our team's success when it comes to helping our clients with their real estate goals. In today's market, most buyers begin searching for their new home on the internet. They rely heavily on pictures and video, and expect your home to have that WOW factor. That is why professional photography, quality videos and home staging are all so important to the buyer and to the seller. Homes listed with Jane Hay Sales & Staging all receive these benefits plus much more with no additional cost to you! Our clients believe our services set us apart and keeps us in the top 10 among our 500+ colleagues. Home Value?Would you like information on the value of your home? Curious as to what homes in your neighborhood are selling for? Contact Us and we'll be happy to provide you the information.